There are over 1.43 million apps on the Google Play Store, and more than 500 billion downloads. That’s a lot of apps, but which are the best for protecting your device and staying safe? 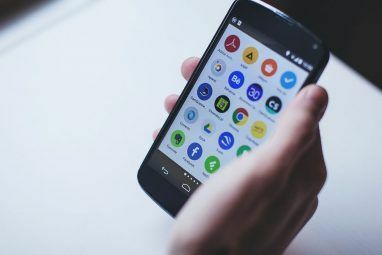 Android is one of the most open and customizable mobile operating systems, but that can leave it vulnerable to security issues, especially when we carry around so much of our personal information on our devices. While there are built-in settings you can change to better protect your device Smartphone Privacy Settings You Need To Activate Today Smartphone Privacy Settings You Need To Activate Today Smartphones ship with plenty of default settings that could be leaking your info. Let's dive in and tweak them. Read More , let’s take a look at some of the best apps you can use. I know it’s unusual these days to actually use our smartphones as phones, but sometimes it’s necessary. How many times though have you had to give away your phone number, only to end up on the receiving end of cold callers? You can prevent this by using Hushed, an app that allows you to create burner — or temporary – phone numbers. This means that if you need to fill in a marketer’s form, or give out your phone number to a buyer on craigslist, you can do so without fear of spam or harassment on your real phone number. And the best part? If you do end up with a load of nuisance calls, you can just delete the number and create a new one. A Virtual Private Network (VPN) allows you to browse the web without giving away who you are or where you are from — information easily gleaned from your IP address, as well as all your browsing habits. Using a VPN minimizes the amount of data that 3rd parties can collect about you, and it protects your privacy even from your own Internet Service Provider. One of our favorite VPNs The Best VPN Services The Best VPN Services We've compiled a list of what we consider to be the best Virtual Private Network (VPN) service providers, grouped by premium, free, and torrent-friendly. Read More is NordVPN because it takes your privacy seriously by not logging browsing data. Plus, it’s multi-platform and just recently launched on Android after a public beta. NordVPN allows you to connect to 548 servers in 49 countries to anonymize your browsing. 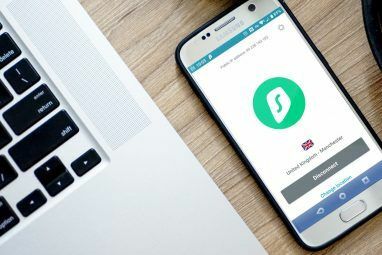 One of its best features though is “Smart-Play”, a connection to a specific server that allows you to use streaming services with a reliable and fast connection. Google is almost without a doubt the most popular search engine, with people even using “to google” as a generic term for searching the web. This position is further reinforced by its status as the default search engine on Android, especially if you are using the Google Now launcher Get the Stock Android Experience on Any Phone Without Root Get the Stock Android Experience on Any Phone Without Root A lot of Android devices have very customized interfaces, but you can get a stock Android look without even rooting your device! Read More . While this convenient access to the world’s largest search engine is useful, it may not be best for your privacy, considering the amount of data the search giant holds about you and your search habits. But if you want to protect yourself from Google’s prying eyes, there are alternatives. Take DuckDuckGo for example, which doesn’t record or track any data about your searches. While you can always navigate to the DuckDuckGo website, they do have an Android app that you can use for searches, and a more private browsing experience. The app also has a search bar widget that you can add to your homescreen for quick access. In a post-Snowden world more and more people are aware of the ways that various organisations are trying to snoop on your activities, and encryption is the main tool in protecting your privacy. Telegram packs a huge amount of privacy focused features into its messaging client. Not only is the entire service encrypted, but it even features “Secret Chats” which are end-to-end encrypted so that only you and your recipient can ever see your message. Telegram is a multi-platform messenger app which makes it stand out from a lot of the mobile-only offerings from competitors. It also includes a Snapchat-style self-destruct messaging feature for temporary and secure messaging. As Telegram is privately-funded, the app is provided for free, as well as being completely ad-free, meaning no 3rd-party tracking in sight. It has been 45 years since the first email was sent, and collectively we now send over 1 billion emails every day, and it is still one of the most common methods for communicating sensitive information. With that in mind it’s surprising how few email providers have enabled secure messaging features. ProtonMail aims to fix this issue with an easy-to-use and well-designed encrypted email client. It has been favourably compared to Gmail since its launch in 2013 for its simplicity. The service is located in Switzerland for its strong privacy laws, is open source so that security experts can inspect its claims, and it receives a credibility boost from being founded by a group from MIT and CERN. When emailing fellow ProtonMail users, the messages are end-to-end encrypted making them totally unreadable to outsiders. Although they are aware that there are a lot of people who aren’t using encrypted email clients, so they have even built a feature which allows you to password protect your email when sending a message to someone who doesn’t use the service. Passwords are overwhelming — we have too many and we are frequently forced into using bizarre combinations of symbols, numbers, and capitals which make them even harder to remember. So we end up using similar, or even the same, passwords on different sites. When a site gets hacked, the password for all your sites is then unleashed on the web, making your accounts vulnerable to hackers. Being constantly mobile only makes managing your passwords harder as you resort to writing them down or having them on a notes app Evernote vs. OneNote: Which Note-Taking App Is Right for You? Evernote vs. OneNote: Which Note-Taking App Is Right for You? Evernote and OneNote are amazing note-taking apps. It's hard to pick between the two. We compared everything from interface to note organization to help you choose. What works best for you? Read More . Luckily, LastPass Password Manager is there to help you. You can upload and save all your existing passwords to an encrypted vault. Enabling App Fill allows LastPass to suggest your login information when it detects a password field, giving you quick and secure access to all your passwords. As well as remembering your passwords, it can even generate secure, randomized passwords Create Strong Passwords with These 4 Amazing Android Apps Create Strong Passwords with These 4 Amazing Android Apps Coming up with memorable, strong passwords can be difficult -- so let an app do it for you! Read More for you and automatically change passwords How To Automatically Change Passwords With New LastPass And Dashlane Features How To Automatically Change Passwords With New LastPass And Dashlane Features Every few months, we hear of a new security vulnerability that requires you to change your password. It's tiresome, but now Password management apps are adding tools to automate this task, saving you time. Read More . How many times have you handed your phone to a friend to look at a picture, only to find them aimlessly swiping away through all of your photos and apps? Well, no longer. Install AppLock to lock down your apps either with a PIN, passcode, or fingerprint if your phone supports it. The app has a couple of other great features too in “Photo Vault” and “Video Vault”. If you have photos or videos you would rather keep private then you can add these into the vault and it will prevent the files being displayed in your gallery. You never know when the worst may happen and your phone gets lost or stolen. Before that happens, install and activate Android Device Manager from Google. It allows you to ring, lock, locate, and even erase your device if it ends up permanently out of your reach. There are a lot of other apps that offer this service, including some all-in-one security products like Kaspersky, but Google’s is by far the easiest to set up, and if you lose your device you can even use someone else’s Device Manager app in Guest Mode to either locate or erase your device while on the go. 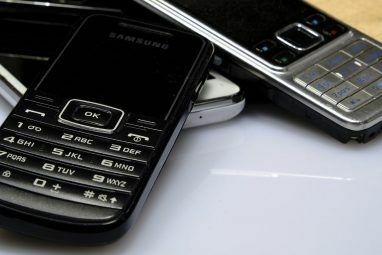 This list is by no means exhaustive though and there are other things you need to know about smartphone security What You Really Need To Know About Smartphone Security What You Really Need To Know About Smartphone Security Read More , but it is a great place to start. Being aware of some of the basics of security Improve Privacy & Security with 5 Easy New Year's Resolutions Improve Privacy & Security with 5 Easy New Year's Resolutions A new year means an excuse for getting to grips with your online security and privacy. Here are just a few simple things you should abide by in order to keep yourself safe. Read More will help you to be more vigilant against potential threats. It could even be worthwhile including a personal security audit Start the Year Off Right with a Personal Security Audit Start the Year Off Right with a Personal Security Audit It's time to make plans for the new year, such as ensuring your personal security is up to scratch. Here are 10 steps you should take to update everything using your PC, phone or tablet. Read More as part of your routine. Do you use any of these apps? 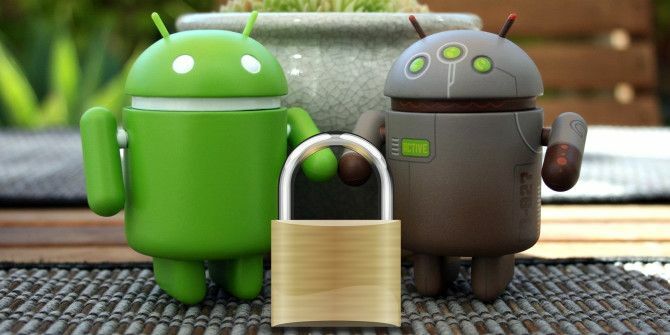 Are you worried about security on Android? What precautions do you take? Let us know in the comments below! Great list! I would add Startpage.com for anonymous searching. It works great plus has proxy searching. Startpage also offers private email accounts. Have you found an email client app that protects personal privacy I.e. it doesn't copy/dissect your emails. I have domain name email accounts that I would like to consolidated. Thanks! Great list! I would add Startpage.com for anonymous searching. It works great and includes proxy searching. Startpage also offers private email accounts. Have you found an email client app that protect your personal privacy I.e. it doesn't copy/dissect your emails? I have personal domain email accounts that I would like to consolidate into one app. Thanks! I love the app LogDog. It is free. No ads. It has stopped my phone from being hacked multiple times. Sounds interesting. I'll take a look. Thanks! Have you tried any?